The launch of TTIcodes – but have we heard it all before? On Tuesday, I attended the launch of TTIcodes, an initiative being rolled out by Travel Technology Initiative (TTI) to try to solve one of the most frustrating, and in reality, fundamental problems in the hospitality and travel industry – hotel codes. Without getting too geeky about this, a clear problem exists (and has done since hotel distribution began) – knowing where a hotel is precisely located – and how to keep that data current. If you think about the hotel distribution landscape, we are in a fragmented world bad up of hotel chains, hotel representation companies, wholesalers, bedbanks, online travel agencies, GDS’ and technology providers – all need a key piece of information to distribute and even share their content – the hotel location, referenced to a hotel code/property number. Put another way, it’s the kind of questions we hear every day: “What is a property called on channel ABC?” or “Is this the same property being offered on channelXYZ?”. And remember, this isn’t as easy as it sounds. Properties close, chain ownership, chain, representation company all the time. Simple? Well, actually no. Every company in the business has their own code. Therefore, as soon as you share data between multiple parties, or you take a data feed from another provider, extracting data to match to your own hotel database and being able to present third part data accurately is a logistical nightmare. Of course, all types of providers work to geo-code their content – but as everyone does it differently, often stores too much information, and the process is almost entirely manual you see where firstly mistakes are made, and how often this information can change and cause you trouble. Imagine sitting trying to map a location for a hotel – not every country has a sophisticated postal system, or has been accurately mapped by Google Maps, making the task near impossible. So, with the problem explained (to a very high level!) you can understand the need for such an initiative. Put simply, TTI have created TTIcodes with the help of a third-party company called GIATA, who are already geo-coding and creating a master database, to create a unique hotel identifier. Why has it taken so long? Ask yourself this question, and you get a simple answer. The hospitality industry is vast and fragmented – add to that the fact that everyone is sharing content – and getting all invested partied to agree on a set standard is difficult. Of course, people have tried this before – it’s been on the HEDNA agenda in the past for example. But to be honest, it’s never got quite as far as the TTI initiative. So what exactly are TTIcodes? TTIcodes are unique hotel identifiers aimed at revolutionising the way travel companies handle accommodation by simplifying de-duplication of accommodation feeds from wholesalers, bedbanks and other accommodation providers. TTIcodes aims to become the widespread standard in this respect for the travel and hospitality industry and be the single most important global identifier for hotels and other accommodations. Is there a cost? Of course. But before you judge, TTI are not for profit and it’s cheaper to buy this information from TTIcodes that GIATA directly. I’ll let you investigate the pricing on the TTI website yourself. The process is simple – GIATA upload your hotel database and map the properties against their database, adding any new ones and applying a new code to them. You then get a range of access to the entire database. The key is also involving hotel properties themselves – and I was pleased to hear TTI will encourage hotels participate in TTIcodes has devised a simple low cost pricing structure for both individual properties and hotel chains that wish to participate in the services. Will it succeed? I don’t know. Although the power behind this, GIATA have a large customer base and have coded some 215,000 properties, its day one for TTIcodes. It’s certainly worth a look if you find yourself struggling in this area, and one to watch carefully. Travelport has announced a multi-year cooperation deal with corporate online hotel booking company, Hotelzon International which will see the provider integrate its online booking tool with Travelport technology and hotel content to provide richer choice as well as streamline sales and booking processes for its travel agents and corporates. Hotelzon comprise a portfolio of over 100,000 hotels worldwide, offering live availability, rate information and instant booking functionality to its 15,000 client base. Through this new agreement, Hotelzon will connect via Travelport’s Universal API™ directly to the Galileo platform thereby fully integrating GDS hotel content as well as supporting agent’s mid and back office processes. “This agreement strengthens Hotelzon’s service offering which enables joint customers to process bookings more efficiently. Our booking volumes will increase dramatically, and such a multi-portal also creates a significant inventory of GDS and non-GDS properties that are available to our joint travel agency customers. We look forward to expanding our business through our partnership with the leading travel service provider, Travelport.” Said Jani Kaskinen, CEO at Hotelzon International. Customers of both Hotelzon and Travelport will now seamlessly connect with a booking solutions platform enriched with hotel content from both Hotelzon and Travelport and supported by a streamlined back office processing system. Billback – what’s the story? Back in July I posted an exclusive interview between Hotel Insight and Andy Craddock from Pegasus Solutions. I received so many comments and emails about this interview and there was a recurring theme, especially from those readers that sell hotels – billback. More specifically, people wanted to know the opinions of Pegasus on this topic, so I am pleased to post their response below. Firstly for those who do not know what we mean by billback, and for all of those who mean something different with this term, I thought it was useful to try to define the term. Basically, we term billback as the process where by a hotel booking agent confirms a reservation, and contacts the hotel to make a pre-payment, so that the guest is not charged for the room when they check-out. This is especially true when booking via the GDS channel where almost all rates are paid for by the traveller, and only a guarantee is added to the booking for the hotel. You can quickly see where this process could fail – manually contacting hotels, front desk not knowing what billback is, payment needing to be by a “virtual credit card”… there are so many reasons why this process can be long-winded and often go wrong. And to date, there is no easy way to enter this information into any GDS and the hotel to action this 100% of the time. There is also a big problem, especially for UK travel agents, where they need to get an invoice from the hotel for V.A.T purposes – but that’s for another discussion! “Billback is a methodology of allowing a traveller to stay at a hotel and not have to pay his hotel bill on departure. Historically, an agent would have a credit line open with an agency, the agency would make the reservation citing “Billback or similar.” The agency would then be invoiced by the hotel and would bill this on to the customer after paying the hotel – incurring debt on the part of the corporation making the booking. Agencies are desperately trying to find a methodology to resolve this as the biggest issue is reconciling guest stays in their back office to the bills received from hotels. In order to actively and effectively re-bill clients, they need to ensure a 100% match between booking records in their back office and the invoice received from the property. The methodology of choice at the moment to do this is single use credit cards. Every transaction in their back office then has a unique credit card number in its record. Instead of being sent an invoice by the hotels, they simply match their back office against the credit card bill, and send this as documentary proof to the corporation to pay the debt. For VAT purposes, the agencies in Europe need to be able to provide a VAT receipt for every transaction. Typically when a guest checks out of the hotel, the receptionist hands the receipt for the virtual credit card transaction to the guest, which never makes it back to the agency, so the agency cannot reclaim the stay from the corporation. Provided that Pegasus is supplied with the transactions, we can generate the VAT invoices on behalf of the agencies/hotels”. 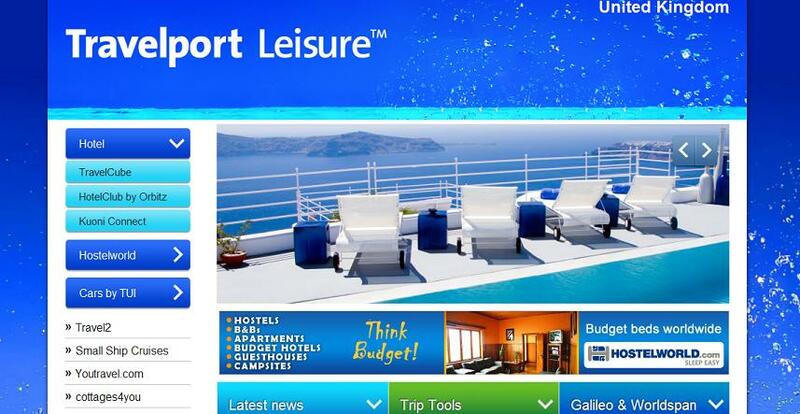 Travelport GDS have been in the travel trade media lately promoting their new tool, Travelport Leisure. Their strapline is “Content, Commission, Choice”. But what is it, and how can it help your business? Here’s a closer look. Travelport Leisure also offer ground services – transfers, attractions tickets, touring and car hire provided through TUI as well as offering small cruises and a separate villas and apartments section. The website also features a Trip Tools section, where you can source information on health advice, weather, destination guides, currency conversions and health advice. It does seem that Galileo Leisure is still up and running, but surely it will be phased out and bookers pushed to this newly branded website. It has to be said that the appearance is a vast improvement and it’s really undergone great modernisation and has a great look and feel. This kind of website is in much demand – a company pulling together multiple sources of hotel content is what so many travel professionals are asking for, especially key providers like TravelCube. What the tool does seem to miss are Travelports GDS hotel content. To complete the tool, I would like to see Galileo and Worldspan GDS hotels. Maybe this is something in future planning – maybe there isn’t a demand for such a tool, but it does seem like a missed trick from Travelport not to integrate this type of content. It would be great to hear from anyone who has an access to the tool and to discover how the usability is, the quality of the content and the USP’s it offers over similar websites. ‘Company Focus’ is a new series of posts that will appear here on the Hotel Insight blog, and as the name suggests, will focus of various hotel related companies. These may be key players in the hospitality industry or new start-ups with new concepts and ideas, interesting travel websites I’ve found online, representation companies, marketing, distribution and technology companies or even independent and well know hotel chains. Today’s focus is Pegasus Solutions – a key player in hotel distribution. 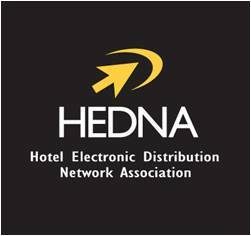 Probably best know for developing the first “Switch” technology, connecting hotel, travel providers and distributors to the travel industry. The best example of this can been seen in the GDS, where Pegasus are involved in “switching” hotel content from providers into the GDS. But Pegasus also have many other solutions available other than distribution such as reservations, financial and representation services. Pegasus provide Central Reservation Systems (CRS) for hotels to handle reservations as well as providing the necessary connections to enable those properties to connect to GDS and other alternative distribution systems (ADS). Pegasus also offer a solution for travel agencies to track and gather commission payments from hotels, something that has historically caused travel agencies a real headache for many years. It’s even thought that around 45-50% of all owed hotel commissions never get paid. So whether you’re an independent hotel, multi-national hotel chain, hotel booking agent or intermediary, you will in some way have come across Pegasus and their services, even if you were not directly aware. To some up, Pegasus really are a market leader and very innovative company and one that has for years lead the way in their field. There seems to be a recovery in the business travel market, as hotel technology specialist Pegasus Solutions revealed that they have seen a 34.3% increase in global revenue for bookings made though GDS’s. They also report that the average daily ate in the GDS has also increased, by something like 5.5%.